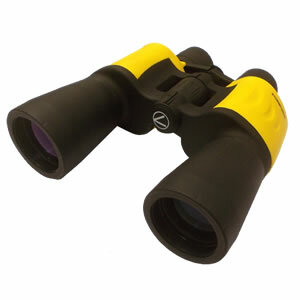 The Visionary 7x50 Stormforce Binoculars Waterproof Rubber Armour is the ideal marine binocular, fully waterproof with a robust build and rubber armoured body. The combination of 7x magnification, 50mm front lens and BAK4 prisms produce exceptional clarity and brightness. A 7x magnification is the ideal power for marine use as it is easy to maintain a stable image. 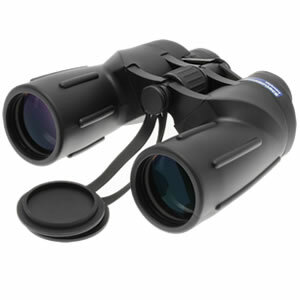 The 7x50 is also highly recommended as a fully waterproof and rugged model for bird watching, nature viewing and general use. BAK4 prisms ensure a brighter image by maximising light transmission. This combined with fully multicoated optics produce exceptional quality images. Efficient use of the light gathered is particularly important at high magnifications or in poor light conditions where images appear darker. Ruby anti-UV coated objective lenses.